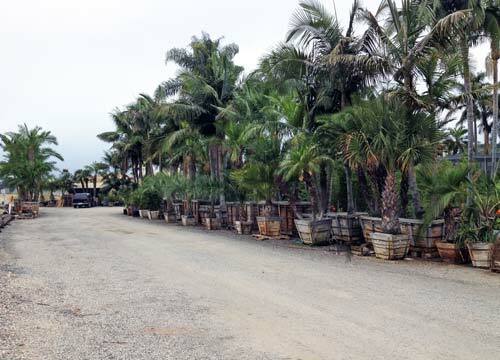 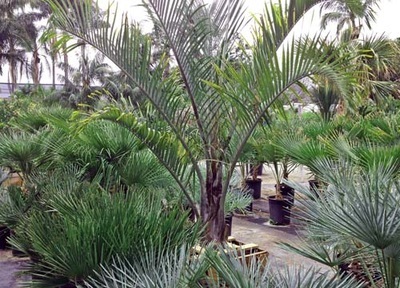 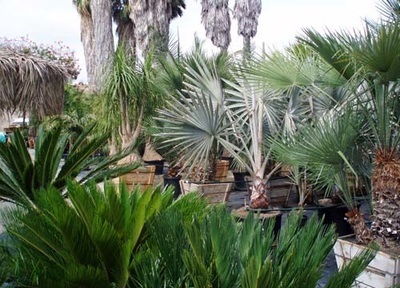 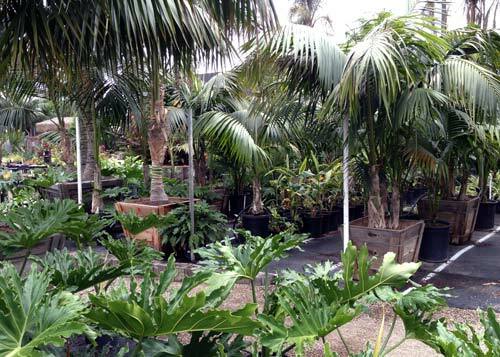 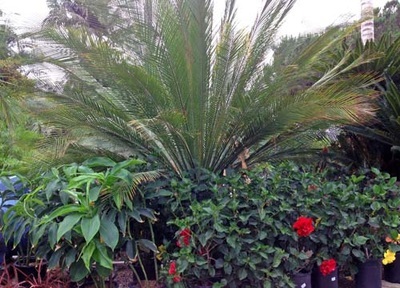 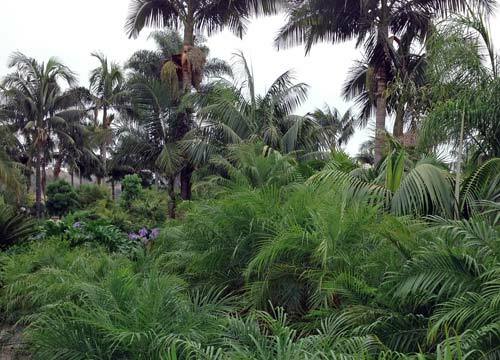 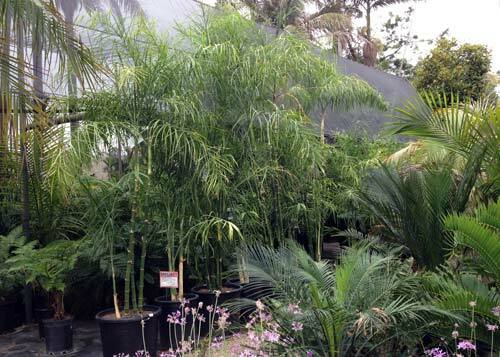 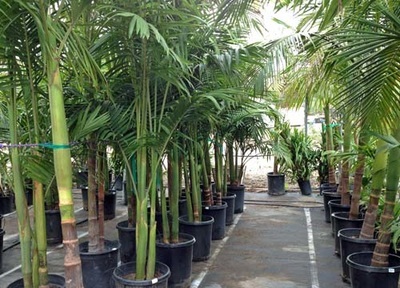 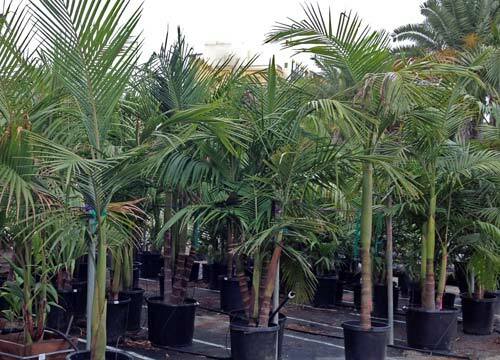 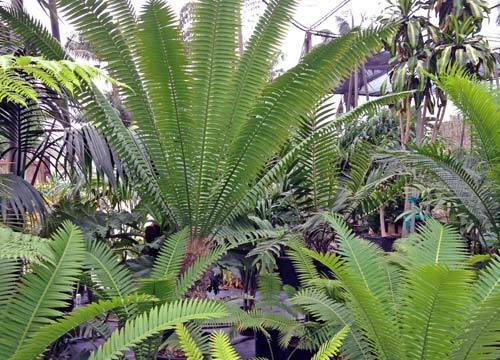 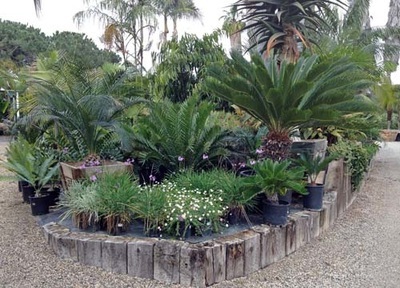 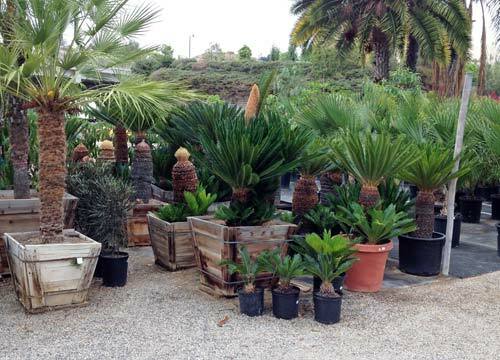 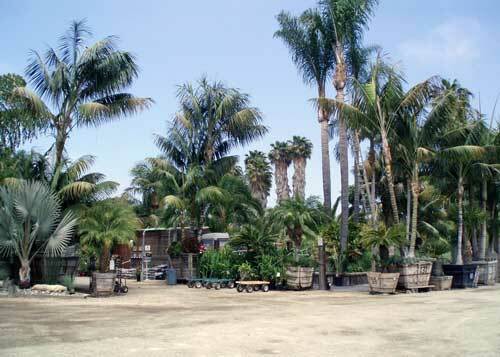 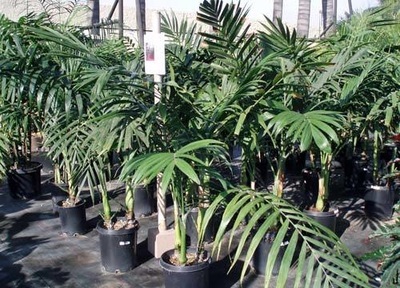 ﻿﻿Seaside Growers Nursery maintains a generous supply of palms and cycads for garden projects. 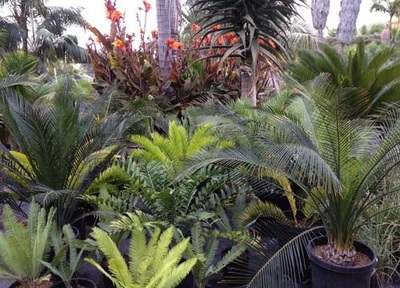 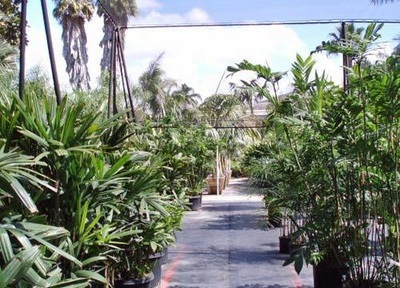 Most of the plants are in full coastal sun while the shade house has palms and cycads which are shade loving plants requiring filtered light from the canopy of a tree or covered patio location. Some grow fast, while others grow slow, and some need regular watering while others can be included in water conserving gardens. 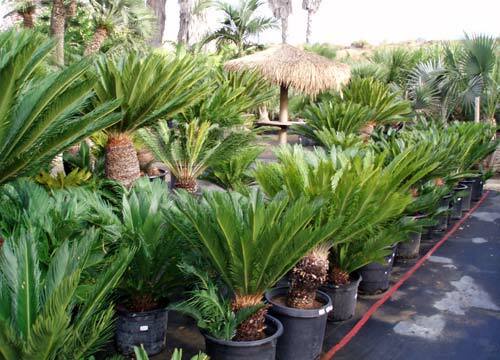 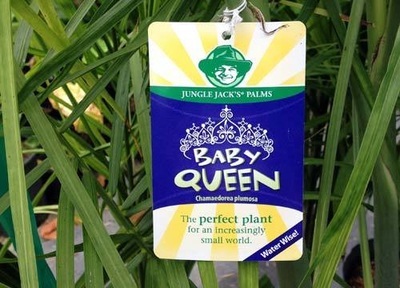 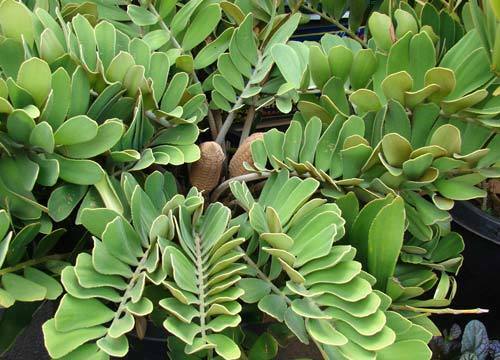 Generally sizes range from 3 gallon to 15 gallon with a good selection of 24” box trees and many large specimen palms and cycads. 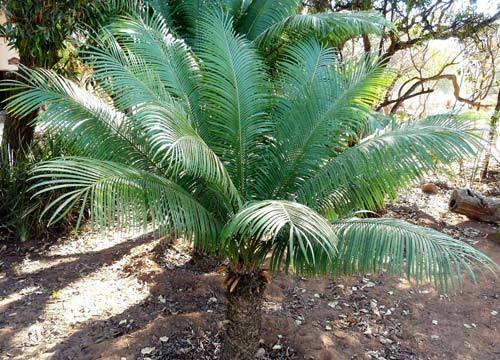 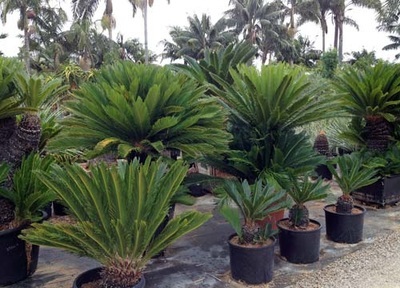 Below are Cycad species and sizes in stock. Inquire for other species or sizes.